is a leader in the international tennis community. In 1976, she was ranked #1 in Hungary. In the European Championships, she finished as a semi-finalist in both women's singles and mixed doubles. She played in the Fed Cup, Wimbledon, the French Open and the US Open! Her highest WTA ranking was 106. 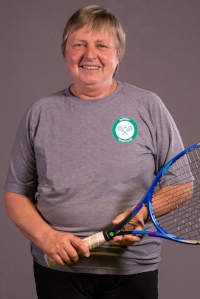 Beatrix has been a certified USPTA tennis professional for 18 years, and has more than 20 years of teaching experience. She was the Director of Tennis at Columbia Racquet Club from '07 - '14. September through June she teaches at Murray Hill Tennis & Fitness. Beatrix lives in Chatham, NJ. is certified as a USPTR teaching professional who brings over 25 years of experience to Summit Tennis Club. He has taught and coached juniors and adults, from beginners to tournament ranked players including High School State Champions and College All-American players. Rick is the owner of Skyline Tennis. In the past, he served as the Director of Tennis at Hunterdon Hills Tennis, and Murray Hill Health and Racquet Club ('05 - '09). Rick brings enthusiasm and fun to teaching while building and reinforcing all aspects of the game. Rick is currently directing the Junior Program at Summit Tennis Club including the Junior Travel Tennis Teams which compete in the NJJTA League. Yes, I would love to hear about the club's most recent happenings. Sign me up!